It seems that the fashion in which we have come to celebrate Pesach is represented these days by extremes. The other day there was an appeal in a Five Towns shul — as there were in many others around the world — seeking funds to assist families in need with the costs they incur in order to observe the basics of the Pesach holiday. A day before, there was a Facebook post by KosherFest impresario Menachem Lubinsky, who wrote that, in his estimation, and as a result of his research, the cost of Pesach worldwide is about $1.5 billion, and the money spent on traveling specifically to hotels that are kosher for Passover is upwards of $100 million. Let’s analyze this phenomenon and attempt to genuinely understand what is at play here. Regarding the $100 million statistic, I overheard someone in shul say that if everyone stayed home for yom tov and that same amount of money was channeled into our yeshivas, the so-called tuition crisis would be over. To that comment someone else said that if we could manage to get folks to do that and many of those people were asked to earmark the same funds for Jewish education, we might be able to generate enough interest to raise a few thousand dollars. So let’s establish this much — the root of extensive travel for the chag has to be the very nature of the exodus experience more than 3,300 years ago. After all, the very definition of the words “Yetzias Mitzrayim” means that the Jewish nation is in some way on the move. Most did it then, and many continue that tradition and are doing it now. So does it really matter where you go so long as you are going? An elderly resident of a building complex near my home said to me in the barbershop the other day that just about everyone who resides in his 140 apartment complex will be elsewhere for yom tov. He said that the residents were told that while some were staying home, there will not be enough people there to form a minyan as they usually have in the building. where are these people going, I ask? He says that some are traveling to hotels that are open exclusively for the holiday, but that most are going either with children or to their children’s homes. Traveling is traveling, and on the move is on the move. This year, we are not staying home but are sticking close to home. We are going to Tarrytown, New York, to an impressive-looking resort called Tarrytown House Estates. The program is a first-time effort and is running under the name Pesach by Bordeaux. Bordeaux is a popular steakhouse in Brooklyn that is doing the food service, which we are told is upscale as well as chic. And what better way is there to spend the season of our freedom and redemption than in that kind of environment with family and friends if you can arrange and manage it? That said, I have been polling people these last few weeks about what they are doing for yom tov and where they are going. Let us state it clearly here so that there are no misunderstandings. Probably 98% of the observant community will be conducting the Sedarim and celebrating yom tov at home. Men, women, and children have been preparing for Pesach at home for weeks. Not only is it difficult to prepare for and bring in this yom tov, but there is also great need out there that is our responsibility, and which, by virtue of who we are, we need to address. Rabbi Dovid Greenblatt runs the Davis Memorial Fund, an organization that stands out in particular at this time of the year. 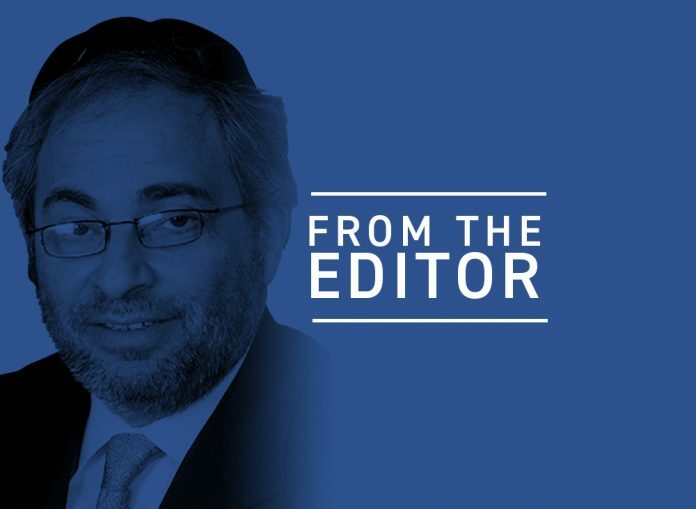 He said recently that this year the fund is providing over 700 families in the Five Towns/Far Rockaway communities with subsidies for yom tov. He adds that the need is both great and profound. It seems as if there are just two extremes to the Pesach dynamic — people are either spending tens of thousands of dollars on this yom tov, or they are barely getting by and hoping to have enough money to feed would just stay their families through the eight-day holiday. In Israel, the International Fellowship of Christians and Jews is providing food for 145,000 poor Israel families. Here is the breakdown: supermarket vouchers for 17,000 families, grants for food and clothing for 10,000 IDF soldiers in need, including 6,700 lone soldiers, and also gift cards for 15,000 children to purchase clothing at Fox retail chain stores. Then there is the matter of people who are dealing with family members who have illnesses and related challenges and for too many this mars the otherwise traditionally joyous holiday. There are unfortunately people who will be spending the Pesach holiday in hospitals, rehab centers, and nursing homes. We may not be able to do much for them but we can have them in mind, think of them, and pray that they recover from whatever is ailing them. I spoke with Rabbi Yosef Kantor, the Chabad shliach in Bangkok, Thailand, on Tuesday morning. I called him because I was alerted to the fact that a number of New York families have rented villas near Bangkok and are traveling to that part of Southeast Asia for the yom tov. I asked the rabbi what he knew about the group. He said it’s not his program but that they had contacted him; they are traveling with a chef and the rabbi helped them procure kosher meat, chicken, and wine. As long as we were on the phone, Rabbi Kantor advised me that his Chabad house is overseeing a Pesach Seder for 5,000 people, mostly Israeli citizens traveling over the chag. So where else are people going this yom tov aside from their children’s homes? I met one young man who is traveling to South Bend, Indiana, to be with family. And the word out there is that 30,000 people are descending on Orlando, Florida, where homes can be rented for the holiday for anywhere from $5,000 to $40,000 for the week. Then there is the matter of buying food or contracting with one of the caterers available down there. I’ve only casually asked a few people what they are doing over yom tov, and while more than a few are traveling to Israel, others I’ve met or spoken to told me they are traveling to Greece, Crete, Mexico, and Punta Cana in the Dominican Republic. As the reader knows, I was in Israel last week. I share that information because I saw an ad in the Jerusalem Post that said one can reserve a Pesach Seder at the David Citadel Hotel in Jerusalem for just 1,225 shekel per person. That’s just $350 per Seder per person—and that is indeed a lot of matzah, maror, and charoses. The cost for the Seder is about the same across the street in the Waldorf Astoria with all its panache, style, and opulence at your service. Other hotels in and around Jerusalem are also offering Sedarim, but, as you might expect, for a few dollars less. What if you observe two days of the chag and require another couple of meals including a second Seder? I am told that the second Seder is being discounted at just $280 per person at both of these hotels. I know four families traveling to Israel for Pesach — three are staying in Jerusalem at the Waldorf or the David Citadel and one is traveling down south where there is warmer weather and less expensive hotel and food accommodations. Many others who would usually travel to places like California or Arizona are going to New York area hotels that sold out quickly this year in particular because many people are planning on going to work on the three and a half days of chol ha’moed. This is just a brief glimpse into the complex and sometimes costly ways to observe the Pesach yom tov. It is major regardless of the vantage point from which you are viewing it. But there are two sides to all this. There is the sweet joy of yom tov and redemption along with the bitterness of the servitude we recall at the Seder, as represented by the maror, the bitter herbs. The challenge probably is to experience both the bitter and the sweet and to somehow reconcile that combination wherever you find yourself this yom tov. Previous articleCan We Bring the Korban Pesach This Year? 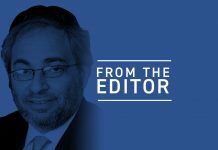 From the Editor: Are Democrats Anti-Jewish or Anti-Trump?